Furniture with smooth and delicate curves is always exceptional and eye-catching in ways that make it very desirable. At the same time, curved furniture is definitely rare because of the difficult crafting process which further adds to its desirability and uniqueness. 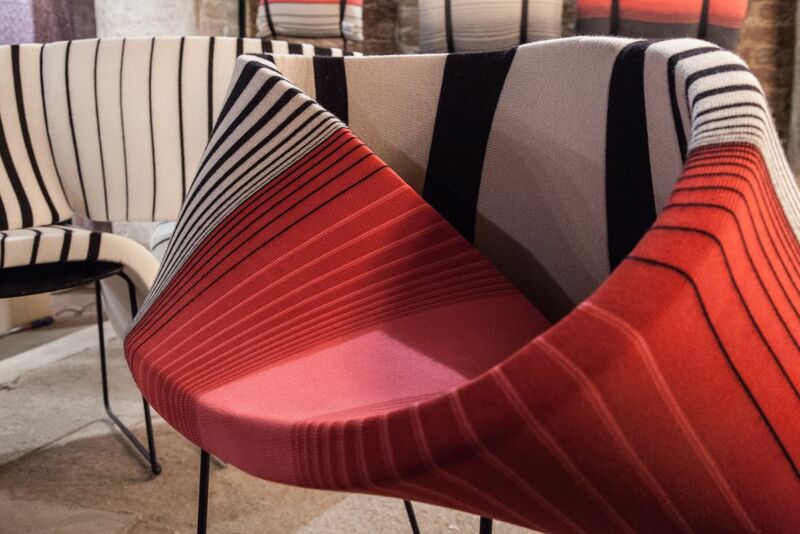 We too have been mesmerized by how beautiful some curved furniture designs really are so we chose our favorites and we’re sharing them with you. The Frolic table from Amorph is a piece of art, like all furniture pieces designed and manufactured by the company. 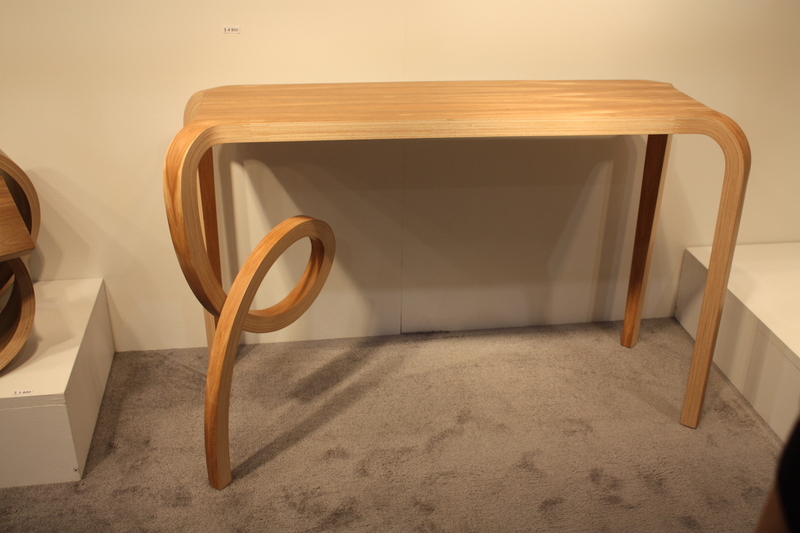 It’s created using cutting edge techniques and the result is a very sculptural table with seamless, organic lines. The table is made of ash wood and is available with a natural stained finish or a semi-glossy one. Tryst is another intriguing example of curved furniture, featuring a design that stands out both from a structural and an aesthetic point of view. The table measures 26” in width, with a height of 20” and depth of 20”. It has a natural ash stained finish and a gorgeous asymmetrical top. Curved coffee tables can look pretty awesome too. 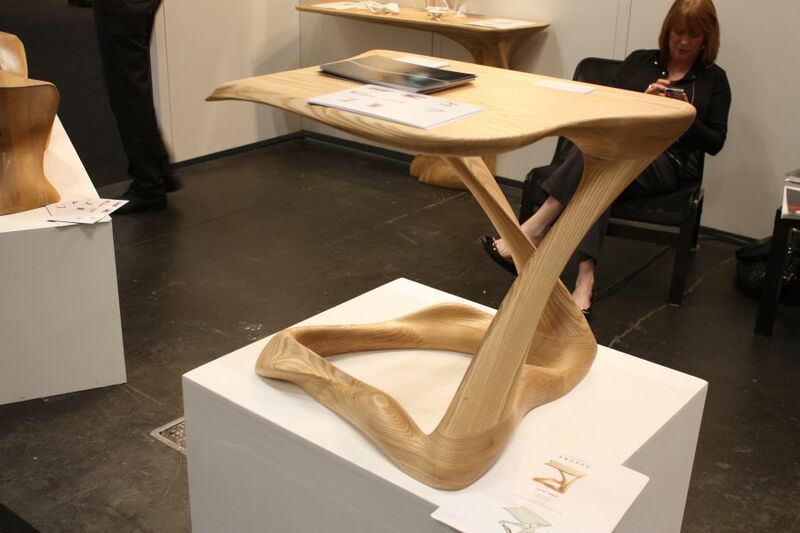 A great example is the Crux Natural table which features this unique, sculptural base made of ash wood. It’s a perfect pair for the clear glass top. Curved furniture such as sofas, benches and armchairs are usually interesting and special enough to stand out on their own but it doesn’t hurt to help a bit with some cool-looking accessories. How about some cozy knitwear such as what Leiz has to offer? 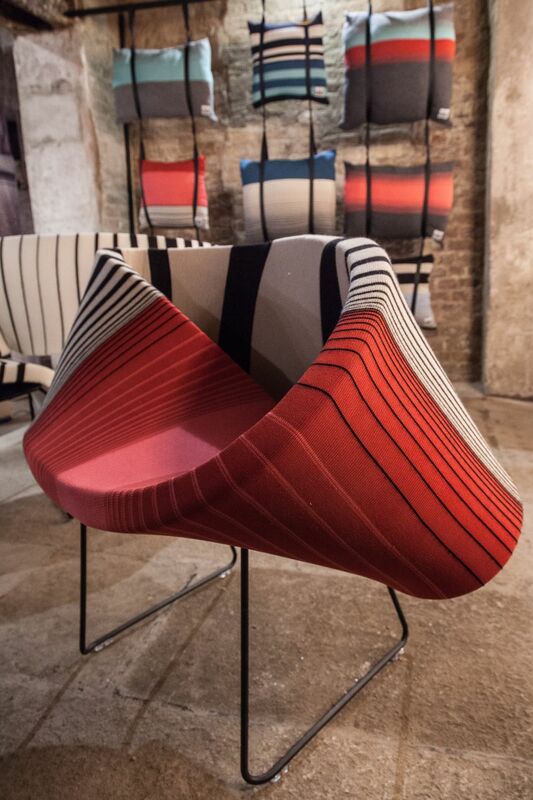 These are actually seat shells which you can add to any regular base to make your own curved furniture. Curbed furniture also seems to be the specialty of Furniture maker Kino Guerin who manages to always find the perfect balance between functionality and aesthetics, blending introcate curves and straight lines to create unique pieces. The furniture is made of woods and veneers using special vacuum press lamination processes. 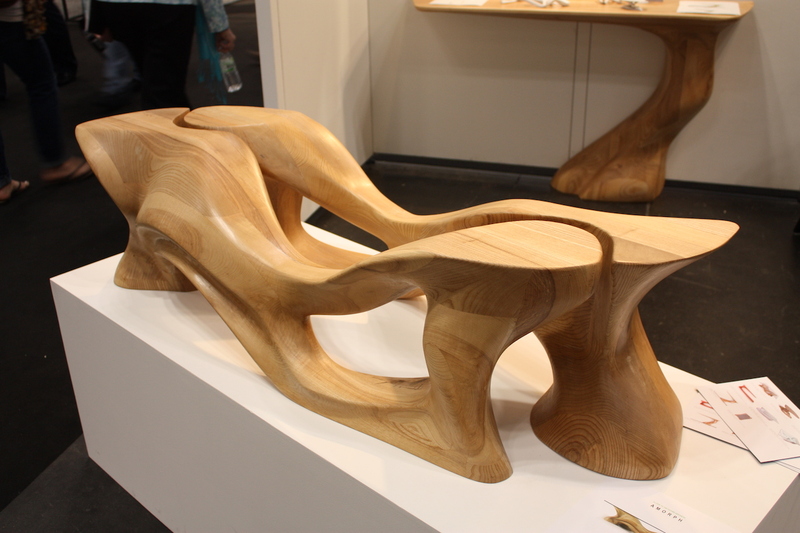 Each piece of furniture is also a sculpture. The Nebula Table is an iconic piece of furniture, well-known for its graceful and fluid curves which push the boundaries of what wood can become. 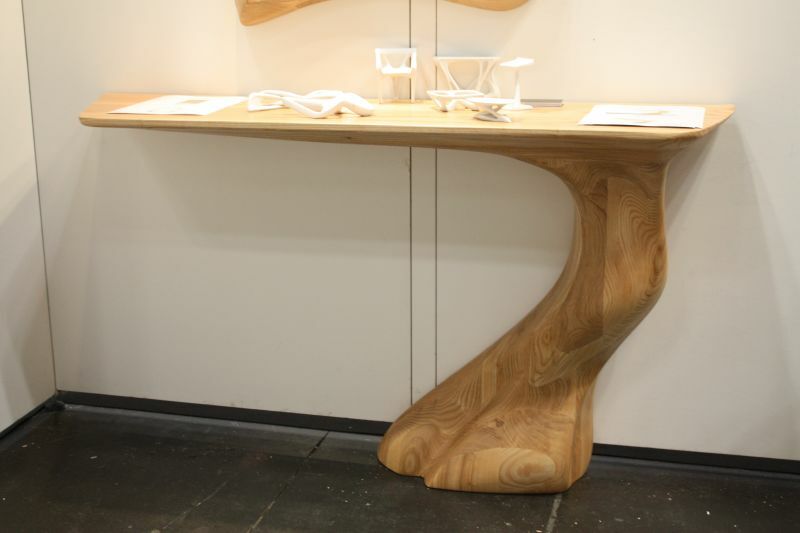 The entire table looks like a long sheet of wood skillfully bended and curved to create a knot-inspired base which seamlessly forms a level top. 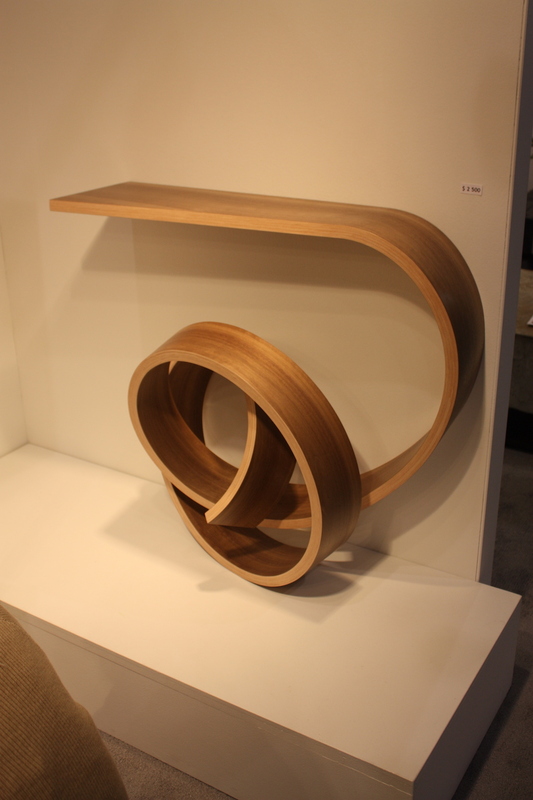 It’s called the Simple Twist Shelf but there’s really nothing simple about how this unique piece is made. 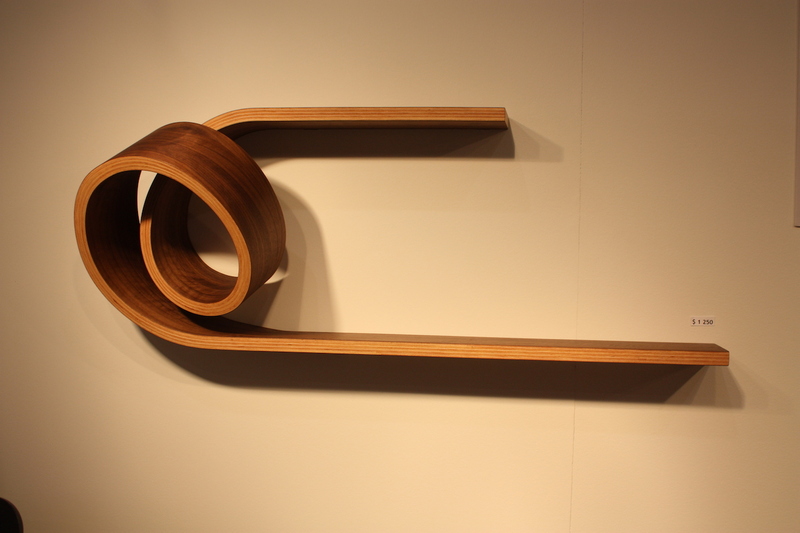 The shelf is made of bent laminated wood and walnut veneer and has an asymmetrical design which forms two loops that give the ultimate fluid appearance. 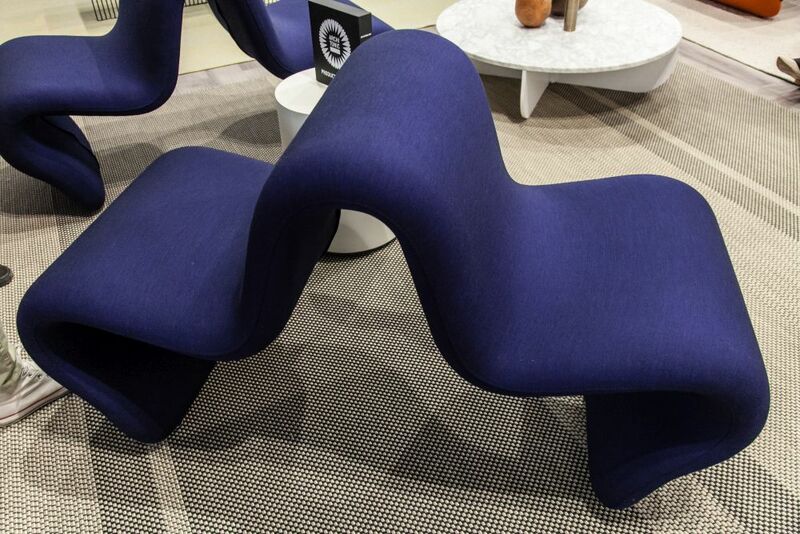 Looking at this sculptural piece and its smooth and graceful lines it’s hard to believe it was designed back in 1967. It’s called Dos à Dos and was created for the Louvre Museum. It’s a very unusual piece of furniture which no unique function. 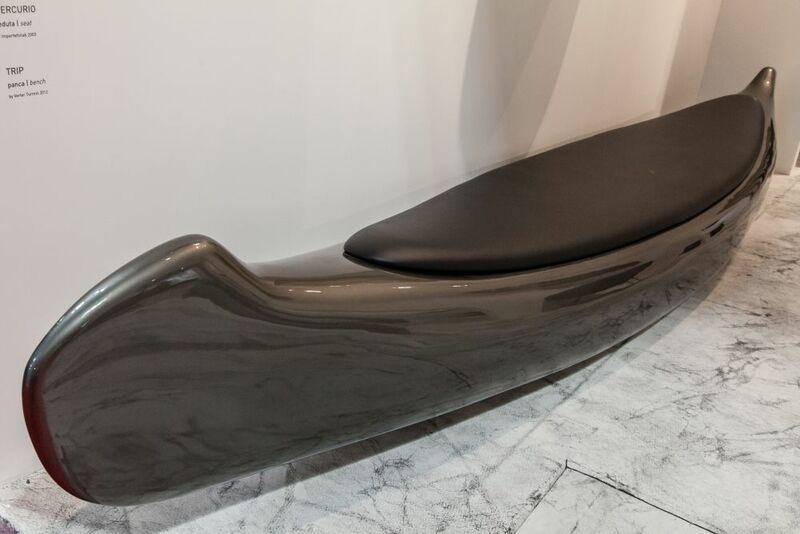 It can serve as a double seat but it can just as well be a stylish and eye-catching sculpture. 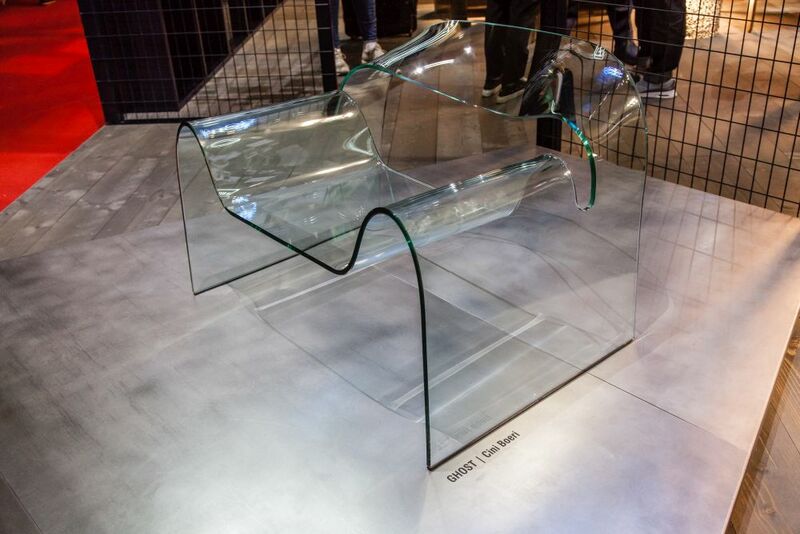 Ghost is a very special chair for two reasons: it’s made of glass and it has a monolithic and curved design, as if it’s been cut out of a single large sheet of glass and then effortlessly bent into this simple but at the same time extravagant shape. 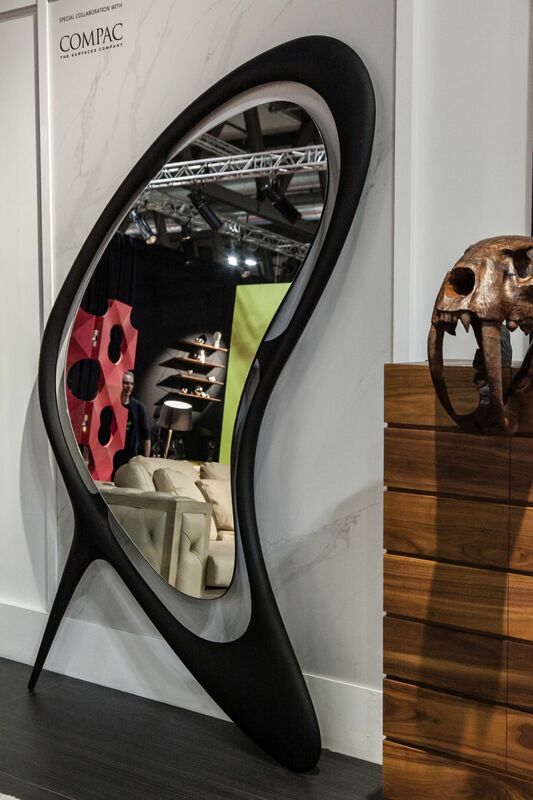 When it comes to accessories, finding curved designs is quite easy, Mirrors come in all sorts of shapes and sizes so the fact that they can have curved designs doesn’t really come as a surprise. However, in the case of the Love Me Do floor mirror the star is actually the frame which has this exquisite and fluid form. 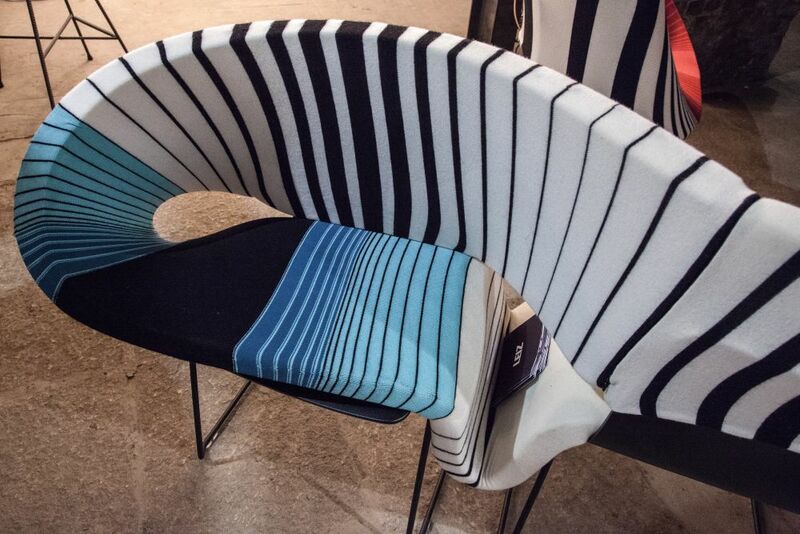 The creator of this unusual bench is designer Verter Turroni. The bench is called Trip, was designed in 2012 and has a fiberglass and stainless steel base and a comfortable seat with leather upholstery. It’s a very peculiar piece, part furniture and part giant sculpture. The post Curved Furniture Pieces With Timeless And Peculiar Designs appeared first on Home Decorating Trends – Homedit.